Budget choices should reflect our collective values, priorities, and ideals, and this depends on budget deliberations that are fact-based. In an effort to make the state budget process more accessible and easier to understand, as well as to broaden participation in the debate, the Budget Center has updated our popular guide to the state budget process. 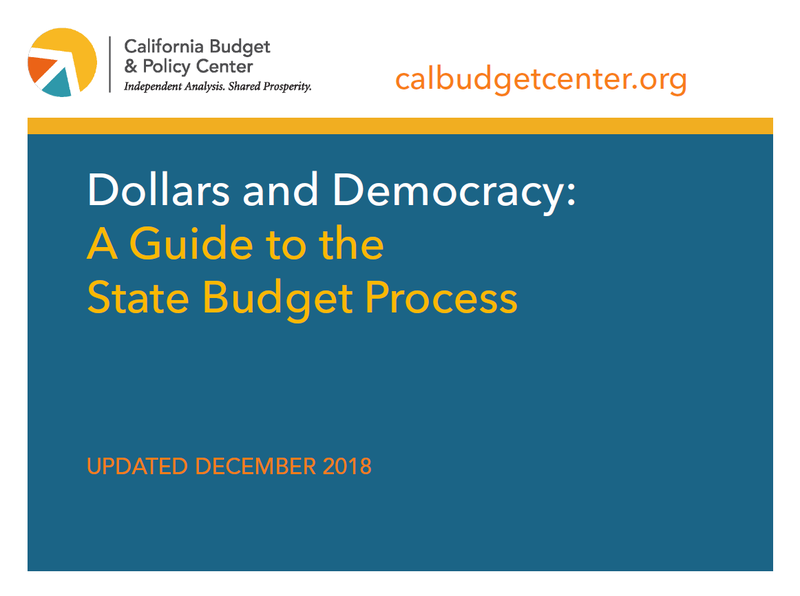 Dollars and Democracy: A Guide to the State Budget Process provides an overview of the year-round state budget cycle, details the roles of the key players, and lays out the timeline for state budgeting as well as opportunities for input. Read the state guide. 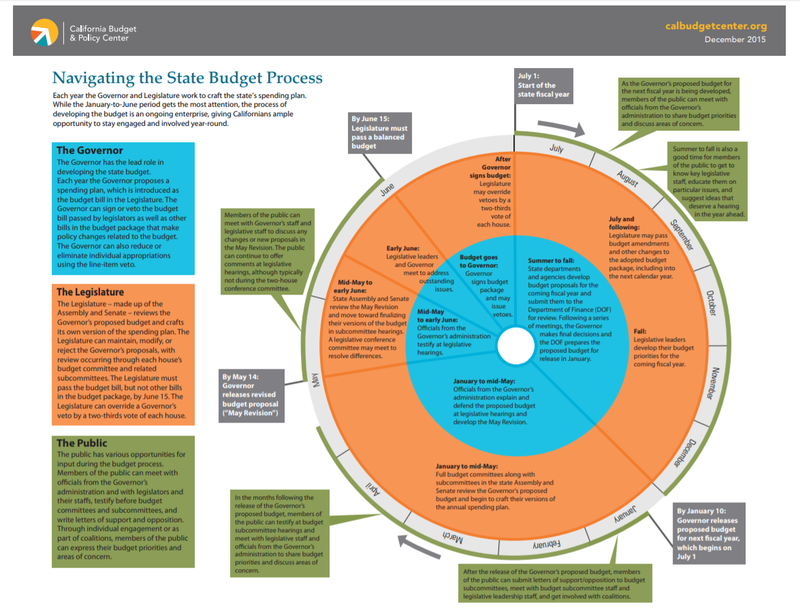 As a companion to the full guide, the Budget Center has created a state budget process infographic, Navigating the State Budget Process. This infographic illustrates the key steps in the state budget process as well as the respective roles of the Governor and the Legislature and the various opportunities for public involvement. Download the infographic. In addition to our state budget process materials, the Budget Center has created a county budget process guide and infographic.